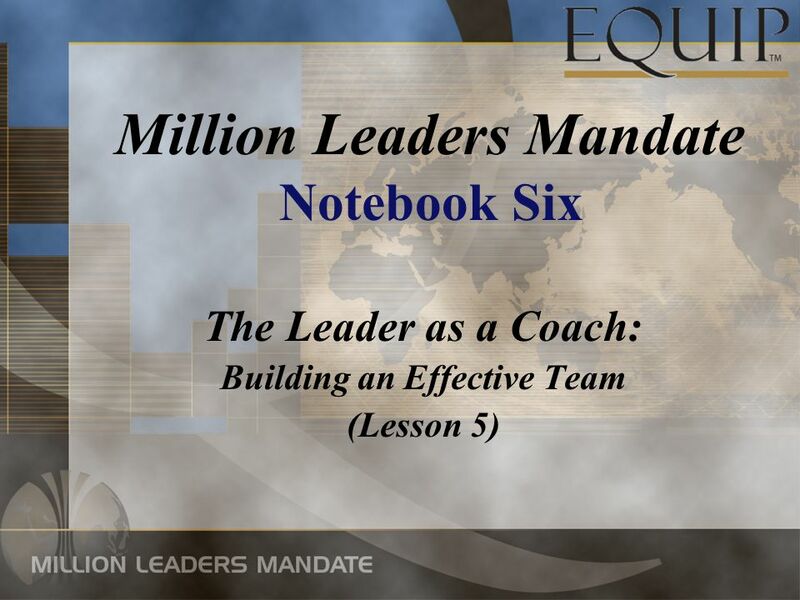 The Leader as a Coach: Building an Effective Team (Lesson 5) Million Leaders Mandate Notebook Six. 3 1. They shared a COMMON IDENTITY. GENESIS 11:6 2. They shared a COMMON LANGUAGE. 3. They shared a COMMON GOAL. 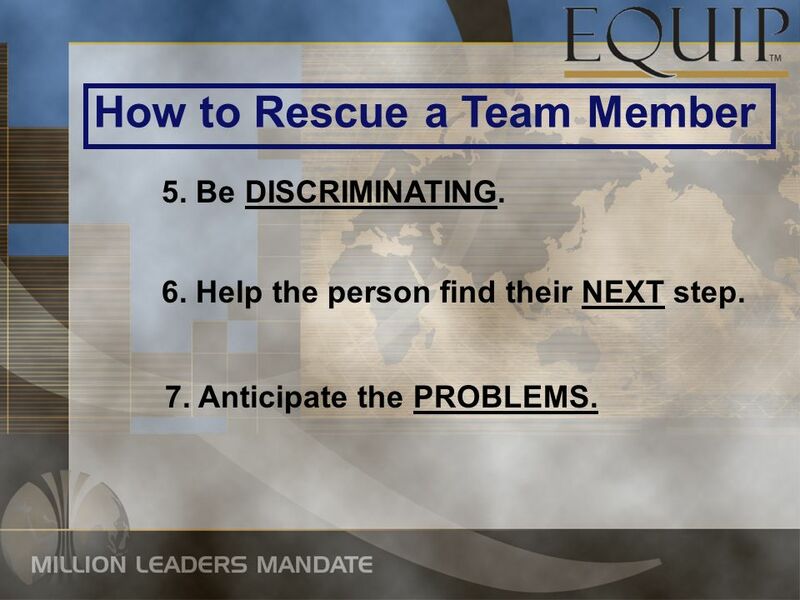 7 How to Rescue a Team Member 2. Do it GENTLY. 3. End their RESPONSIBILITIES quickly. 4. Be CONSISTENT. 1. Do it PERSONALLY. 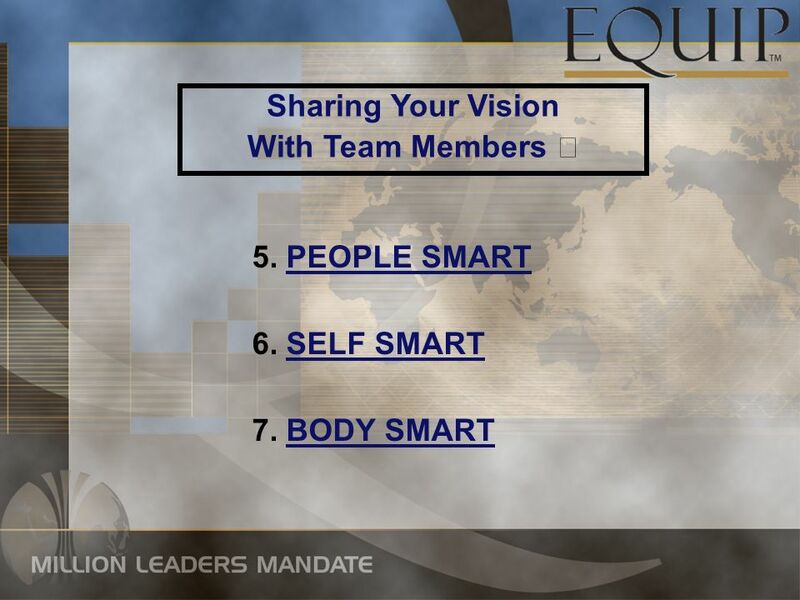 Download ppt "The Leader as a Coach: Building an Effective Team (Lesson 5) Million Leaders Mandate Notebook Six." 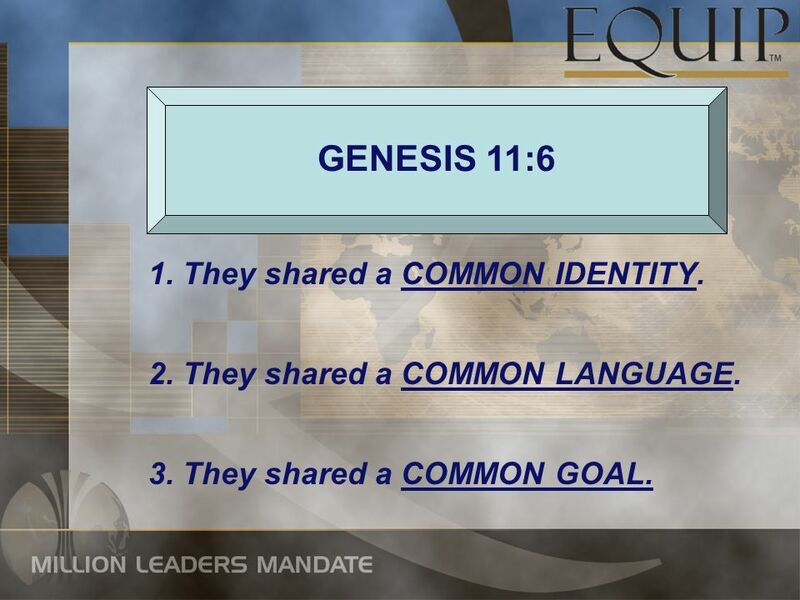 The Power of Partnership (Lesson 5) The Power of Partnership (Lesson 5) Million Leaders Mandate Notebook Five. Intelligence Types Which Types of Intelligence Am I? 1. The Nature of God 2 22 But the fruit of the Spirit is love, joy, peace, patience, kindness, goodness, faithfulness, 23 gentleness, self-control; against. CUSTOMERVIDEOSTANDARDSWHAT IS C.S. 2-1 New Employee Orientation to QI Awareness Customer Focus. © Pearson Education Ltd, 2010 First Public Services Unit 1 Public service skills. Measuring your Leadership growth Lesson Four. 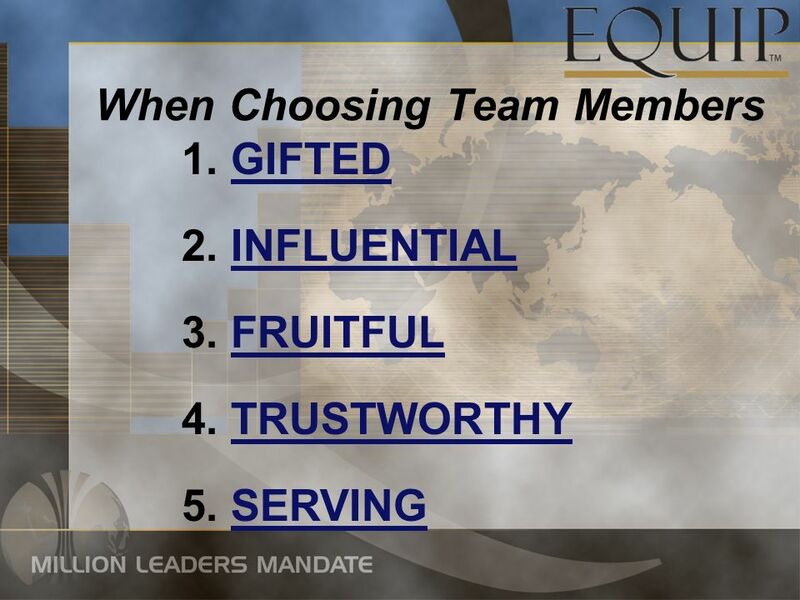 Qualities of Effective Leaders the Seven C’s 1.Character 1.Personal Identity 2.Emotional Security 3.Ethics. Mrs. Kenny March Using what we know… small group activity Consider right-brain/left-brain and multiple intelligences… What would it be good to focus. Why do we serve?. 1. We were made to serve: 1. We were made to serve: Genesis 2:15 What is our destiny? What is our destiny? Ephesians 2:8-10 What is. Presents LESSONS I N LEADERSHIP with Ron McMillan BECOMING A BETTER COMMUNICATOR ESPECIALLY IN CRUCIAL CONVERSATIONS. ACTION PLAN Edith Adomako. Key Lessons Learnt 1. 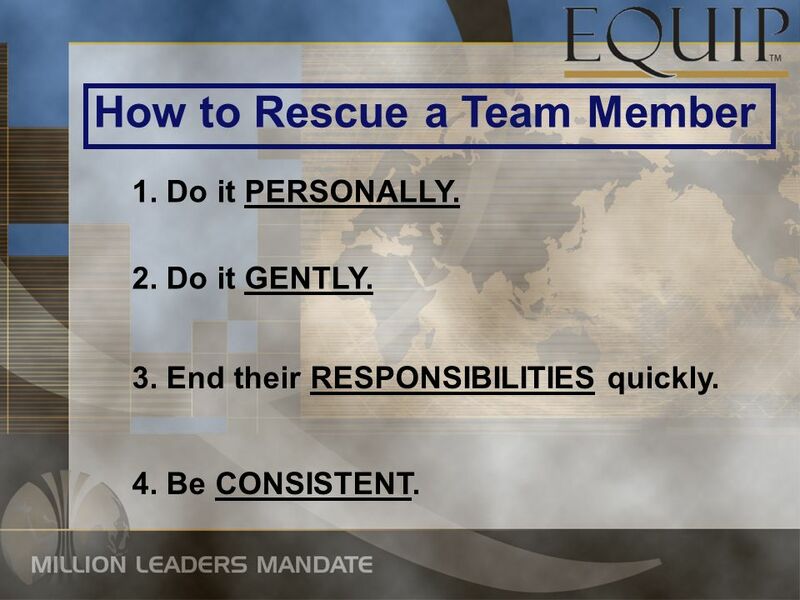 Creating a learning environment, which involves Feedback, team-building, etc. 2. Need to carry out Situational. 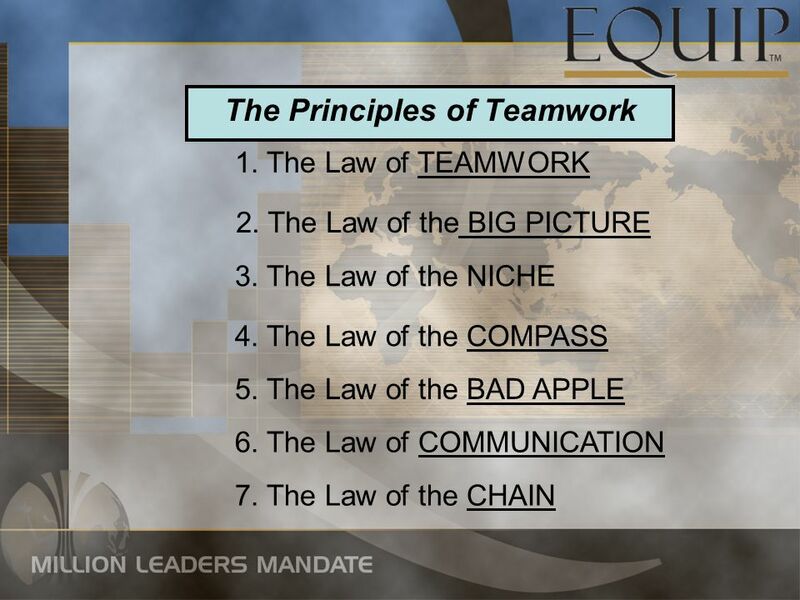 The following is a real (but not perfect) example of vision statement, mission statement and core values for a health care organization. Use it only as. 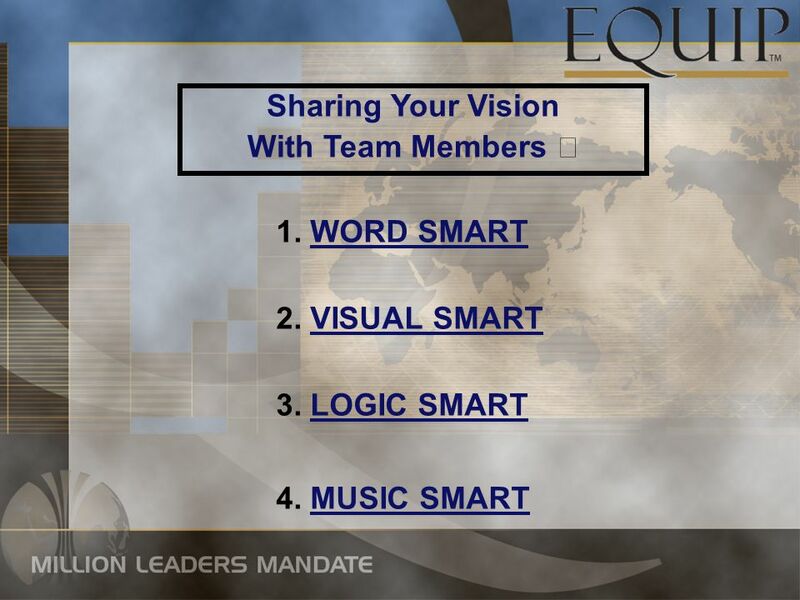 LESSON 4: ACTIVITY 3 PROJECT DEVELOPMENT TEAM MEETING NOW THAT YOU HAVE THOUGHT ABOUT YOUR BIG GOAL, IT IS TIME FOR YOUR TEAM TO GENERATE IDEAS FOR YOUR. Lesson 3 Character helps shape behavior. What values might prompt this teen to return the found wallet? Building Character.